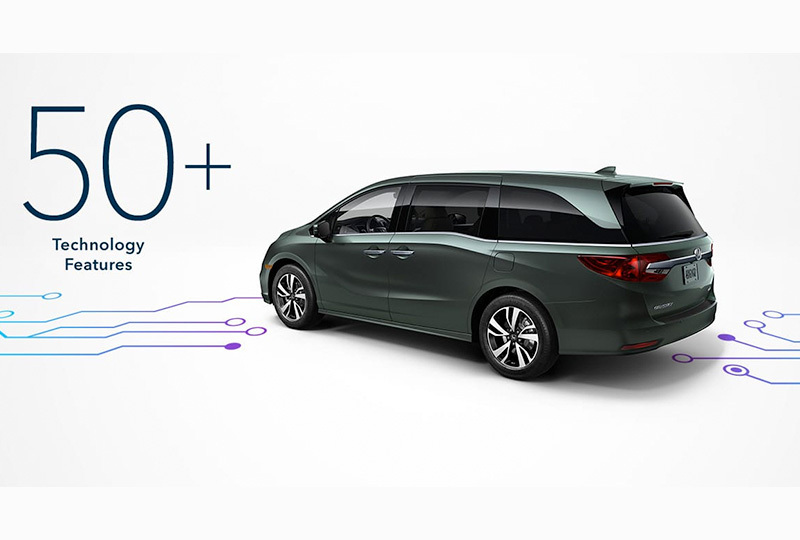 The 2019 Honda Odyssey from Coconut Point Honda in Estero, FL - serving Cape Coral, Fort Myers, Naples, Marco Island, Collier, Lee, Hendry, and Charlotte Counties - helps you travel in comfort with the ones you love. Get the ultimate family minivan for your adventures and find plenty of space for people and cargo inside a flexible cabin. The interior was crafted with your needs in mind, which is why you get a one-motion 60/40 split-folding third-row seat to help you expand your carrying capacity on demand. Cozy cloth seats make long-distance trips more tolerable, and the standard audio entertainment system keeps boredom at bay. Stay connected on the go with the standard Bluetooth® hands-free phone system that allows you to quickly take a call or choose your favorite playlist without holding your mobile device. Control every part of your day with the available HomeLink® remote system that programs to work with garage doors and entry gates. Now is the perfect time to buy a new Honda. The 2019 models are here and they are incredible! Our showroom at 22240 S Tamiami Trail in Estero, FL, is fully stocked and our specials are not to be missed. 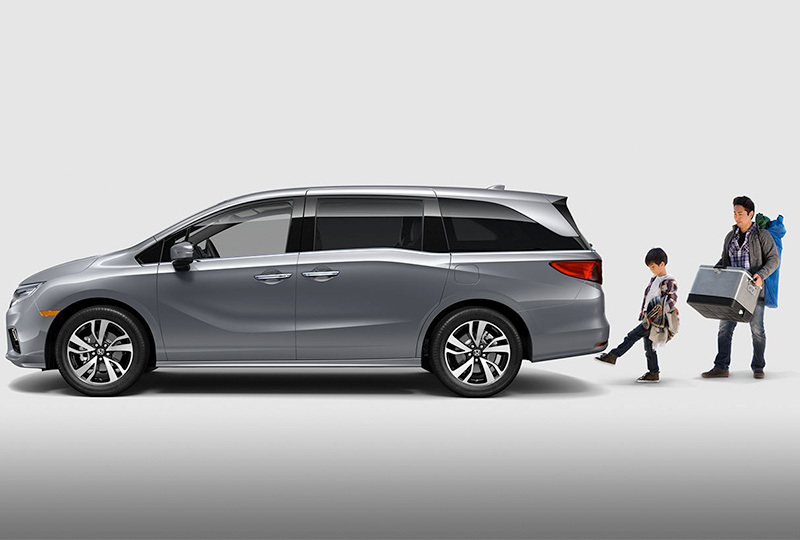 Let us help your dreams of owning a 2019 Honda Odyssey come true! 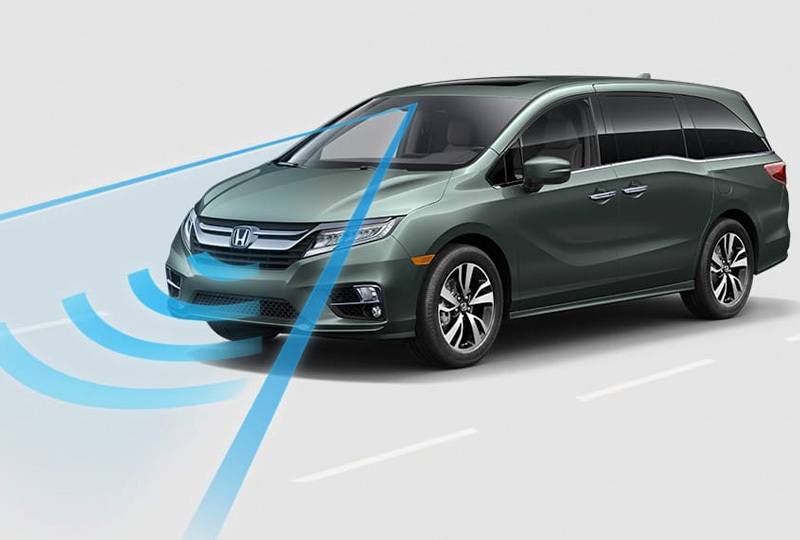 The Odyssey was designed with a host of smart features that help you back up more safely, change lanes with confidence and get to where you're going with ease. Hands-Free Access Power Tailgate standard on Touring and Elite.Digital Driver Information Interface standard on EX, EX-L, Touring and Elite.CMBS cannot detect all objects ahead and may not detect a given object; accuracy will vary based on weather, speed and other factors. System operation affected by extreme interior heat. System designed to mitigate crash forces. Driver remains responsible for safely operating vehicle and avoiding collisions.Road Departure Mitigation only alerts drivers when lane drift is detected without a turn signal in use and can apply mild steering torque to assist driver in maintaining proper lane position and/or brake pressure to slow the vehicle's departure from a detected lane. RDM may not detect all lane markings or lane departures; accuracy will vary based on weather, speed and road condition. System operation affected by extreme interior heat. 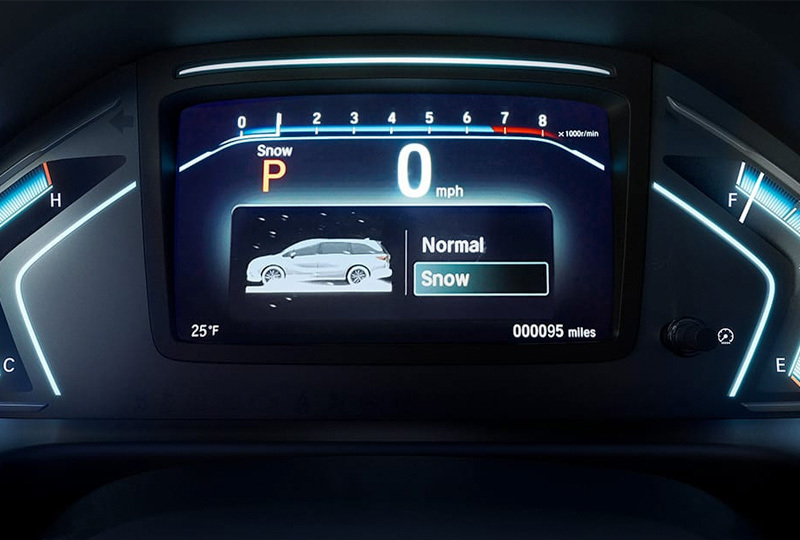 Driver remains responsible for safely operating vehicle and avoiding collisions.Adaptive Cruise Control (ACC) ACC cannot detect all objects ahead and may not detect a given object; accuracy will vary based on weather, speed and other factors. ACC should not be used in heavy traffic, poor weather or on winding roads. Driver remains responsible for safely operating vehicle and avoiding collisions.LKAS only assists driver in maintaining proper lane position when lane markings are identified without a turn signal in use and can only apply mild steering torque to assist. LKAS may not detect all lane markings; accuracy will vary based on weather, speed and road condition. System operation affected by extreme interior heat. Driver remains responsible for safely operating vehicle and avoiding collisions.